*Tailored: 5% compound until age 61, 3% compound from age 61-76, no inflation thereafter. State approval for policy and various features are subject to change. Don’t let a major health event derail your client’s retirement plans. Long Term Care insurance is a critical part of a producer’s arsenal of products. 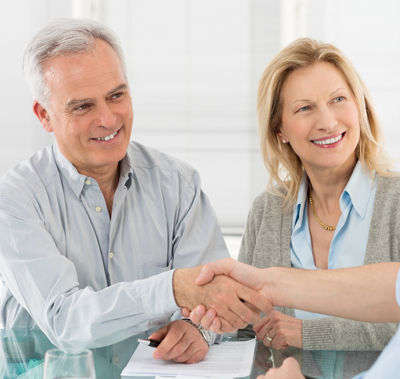 Although having the LTC discussion with your clients can be difficult, it is essential. As an advisor, you have an obligation to help your clients safeguard themselves and their families against a catastrophic setback. Helping your clients formulate a plan to protect their assets in retirement is a complex undertaking involving thorough knowledge of their financial means and aspirations. Yet the products available are simple, guaranteed and provide excellent consumer value. Our in-house experts can help you select the best solution for your client. How Much Long Term Care Insurance Does Your Client Need? BSMG offers educational, brokerage and consulting services to make selling Long Term Care insurance (LTCi) easier. The countless protection options available and choices can be overwhelming, even to the most advanced financial service professionals. In addition to the usual product choices, retirement portfolios can be enhanced by repositioning assets for Long Term Care (LTC) coverage. Studies have shown that clients are afraid of not being able to take care of themselves or becoming a burden on their family. You can offer your clients a LTC solution that will ensure their assets and families are protected. Your clients can purchase an LTC solution that has a 100% guaranteed premium and 100% guaranteed benefits. Single pay? Yes. Ten pay? Yes. If your client does not use the LTC services they get a lifetime guaranteed death benefit that is 100% income tax-free. Some products even offer a money back guarantee – 100% return of all paid premiums, guaranteed for life. Our LTC specialists, dedicated sales team and case managers are available to assist you through every step of the selling process from case design and client consultation to underwriting and ultimately closing the sale. Call us today to speak with one of our experts. LTC is not bought, it’s sold. Our staff evaluates products and coordinates with you, your clients and our multi-carrier partners to engineer solutions. 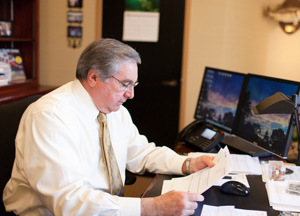 Our team of underwriters and case managers quarterback the client screening, application, and underwriting process. This process will assist you in advising your clients and ultimately enhance your client relationships and grow your business!